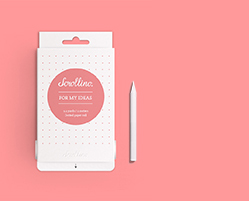 Scrollino® Pour mes Idées is part of our stationery collection. 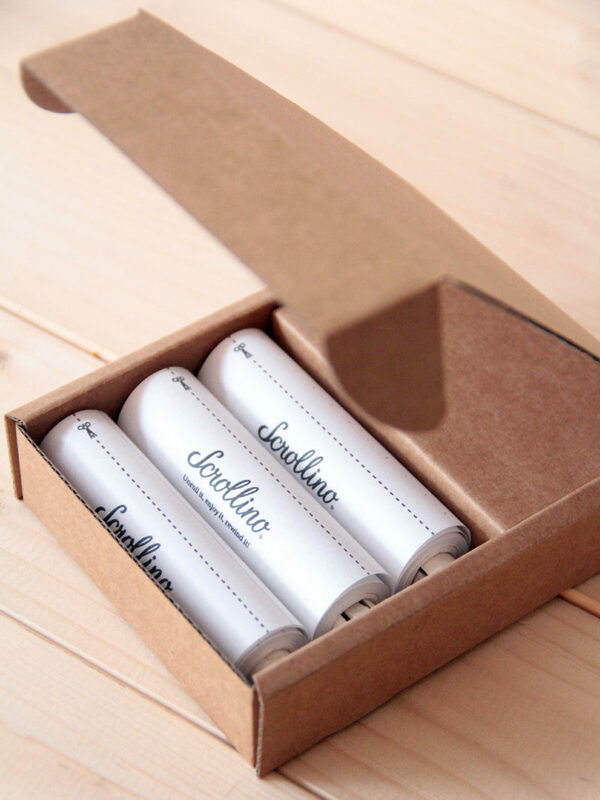 The rolls are interchangeable and refillable, so fill your Scrollino with anything you want – shopping lists, notes, connect-the-dot drawings, recipes, sketches and more! 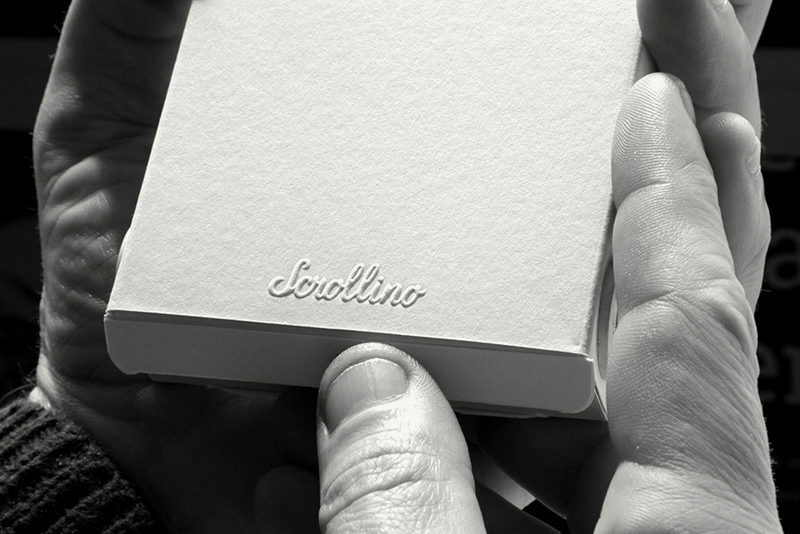 Scrollino® consists of a unique rewinding mechanism (The Scroller), a Scrollino box, and a paper roll to unwind at your own pace. 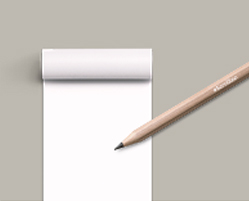 With each Scrollino comes a natural-wood pencil that makes the magic happen and helps the user to rewind the paper. 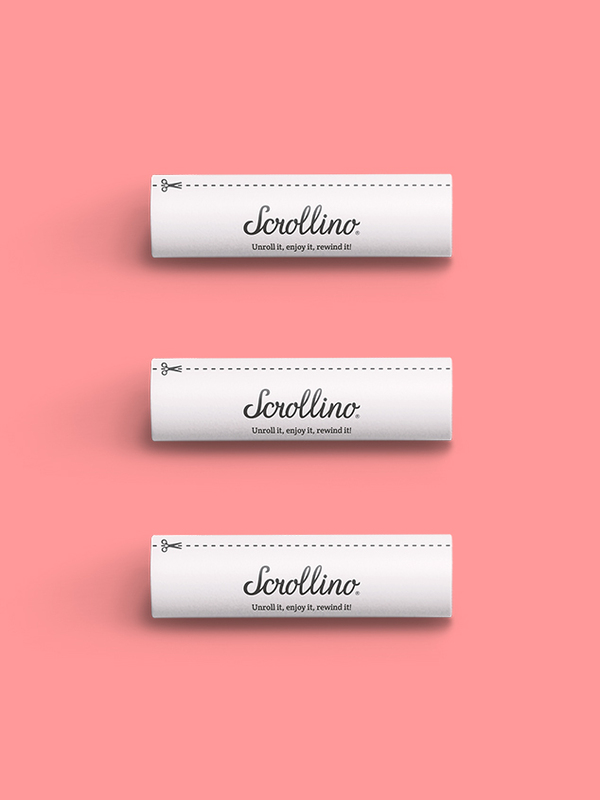 To open the Scrollino simply pull on the tab (Paper Lip) to reveal the story. 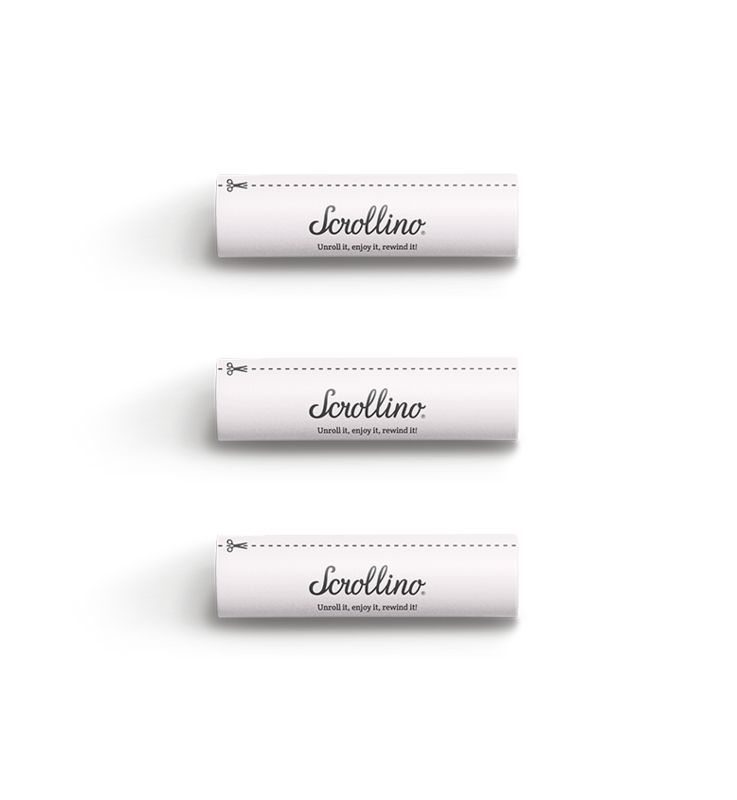 The Paper Lip not only protects the paper roll, it also serves to prevent the paper from disappearing once you rewind your Scrollino. Do you write big? Do you write small? There is room for it all! Write on it all about! Come discover some of the many ways to make use of your Scrollino! Have a short note? 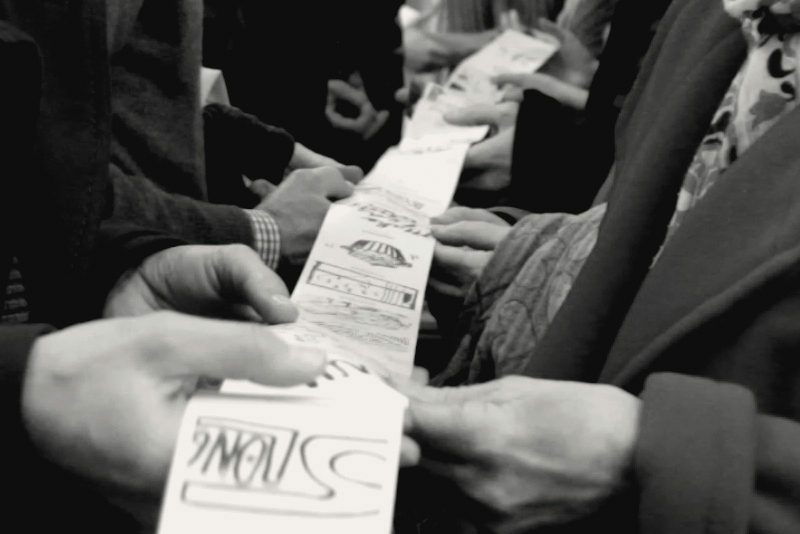 Have a long shopping list? 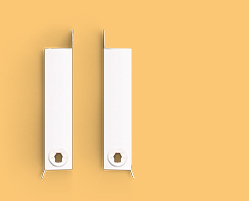 Keep it all together to stay organized or tear off only the length you need. No more paper? No problem! The paper roll is very easy to replace with our refill rolls. Choose from our refills here. Now thinking outside the box can be done inside a box. 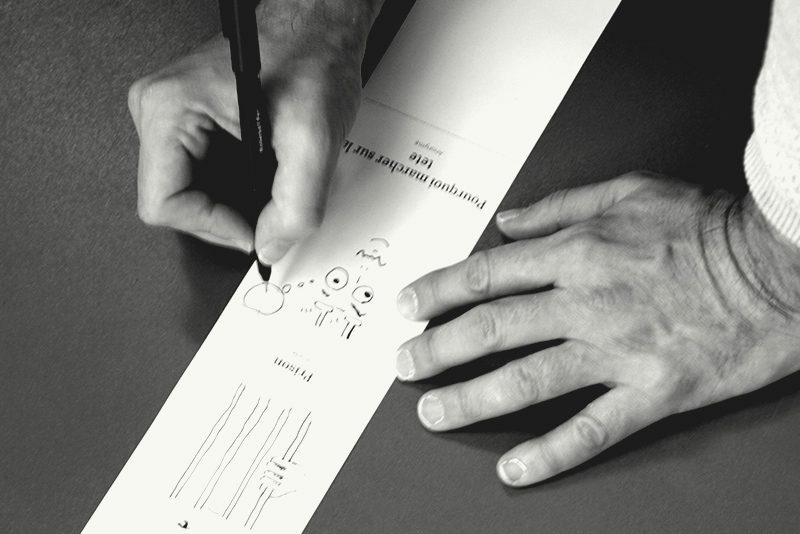 Put your inspiration inside and start revealing your creativity on the page. Write some tender words, draw what inspires you, and let your creativity roam free and far. The reader’s touch makes the magic happen. How? 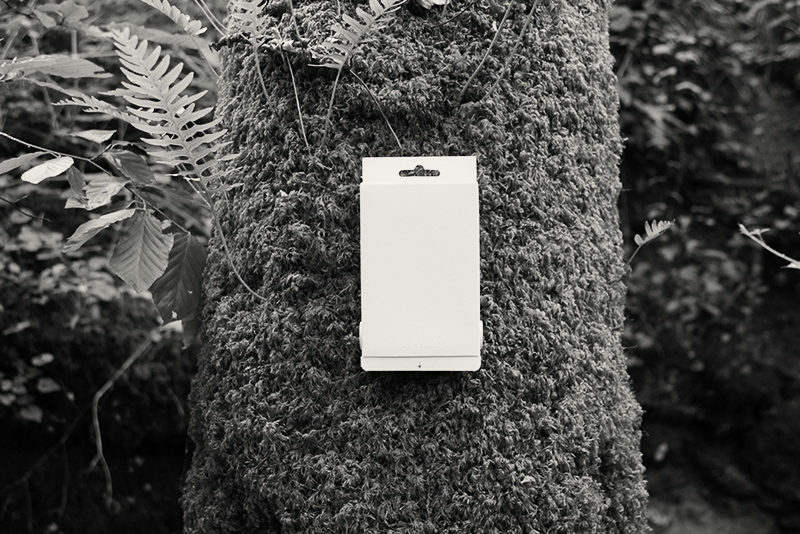 Through the specially designed Scroller conceived and invented by Ludmila & Sylvain Favardin, which allows the readers to scroll through the story. 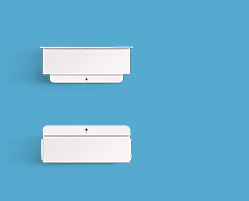 You can feel the high-quality craftsmanship in each fold of the box, in the assembly of the Scroller, and in the embossing on the cover. 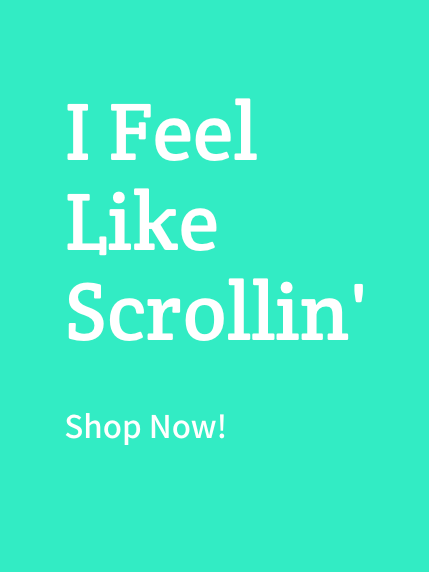 Would you like to unroll the fun and convenience of this Scrollino? Buy it and try it! No more paper? No problem! Buy and try our set of 3 easy-to-refill paper rolls!